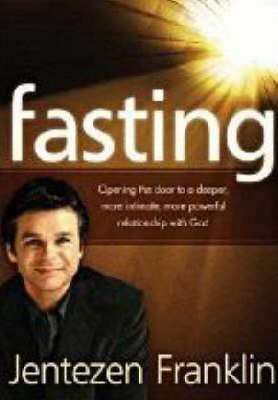 In thisNew York Times Best-Seller and one of the best available books on the topic, Jentezen Franklin explains the spiritual power of fasting and offers a deeper understanding of God's plan for fasting and the benefits available to those who participate. The book contains inspiring and practical information that readers need to know in order to access the power of biblical fasting. Those who seek God through fasting can expect tremendous rewards for their personal lives as well as for the church. They will see breakthroughs in many areas such as healing, finances, unhealthy dependencies and family relationships. This book also gives stories of those who have reaped miraculous rewards from this simple act of faith.